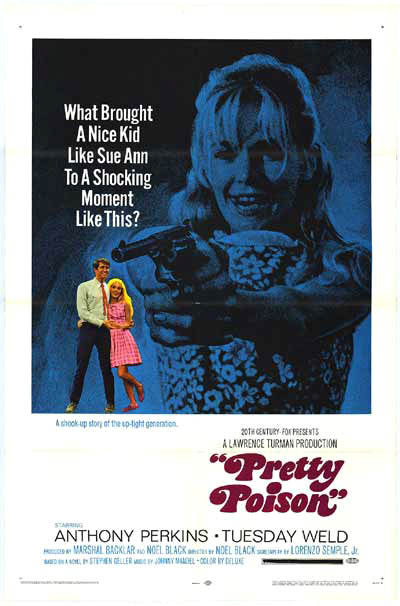 PRETTY POISON - (1968) Color 89 min: Starring Tuesday Weld, Anthony Perkins, Beverly Garland. Easygoing but psychotic Dennis is released from jail, where he has served a sentence for his complicity in a suspicious death. Wandering through an Ozzie & Harriet-type small town, Dennis befriends apparently normal high school A-student Sue Ann. 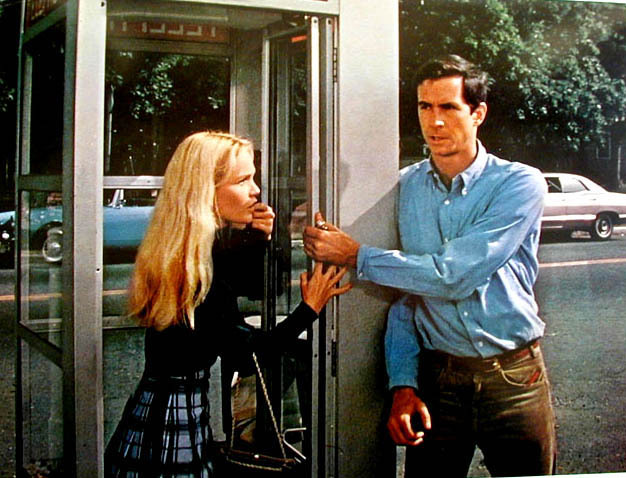 He fills her head with lies about his imaginary career as a secret agent. She is thrilled, and makes up her mind to join him in his further adventures. But first, she takes time out to calmly shoot her mother to death! This jet-black "who's manipulating who?" 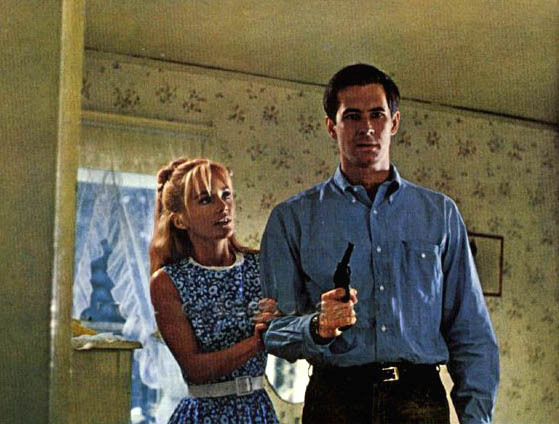 seriocomedy was adapted by Lorenzo Semple Jr.. from Stephen Geller's novel "She Let Him Continue" and is now regarded as cult classic sparked by Weld's vivid performance.